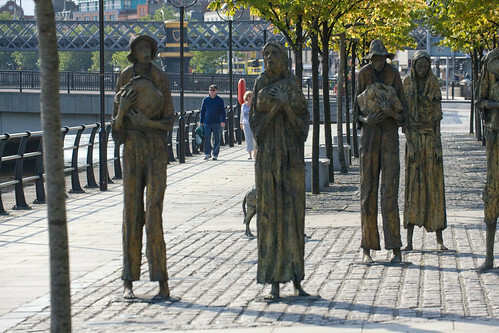 Today is National Famine Commemoration Day, which marks the Great Famine in Ireland. It is more a day of sombre reflection than celebration, but forms the hook on which I hang this: my first time hosting Blawg Review. The Great Famine looms large in Irish history. It remains an issue, evidenced by the report in today’s Irish Times that there were “raised eyebrows at the absence of any representative from the British embassy” at a commemoration ceremony. Recently, controversy also erupted over plans to hold an auction of Famine artefacts. The collection to be auctioned appears to have survived thanks to the document retention policies of Irish lawyers. The collection was held by Stewart and Kincaid, a Dublin law firm that acted on behalf of landlords in the 1840s. Thousands of letters were sent to the law firm by rent collectors and sub-landlords explaining why their tenants had not paid, and by clergymen asking for compassion to be shown to starving parishioners. The documents were stored at another Dublin law firm until a decade ago when it is said they decided to throw them out as they were not relevant to the business. The auction takes place tomorrow and while there are demands that the Irish government purchase the collection, the State’s current financial position suggests the papers might be more likely to cross the Atlantic. While Hollywood has occasionally concerned itself with the bellicose aspects of Irish history, there has been little dramatisation of the Great Famine. 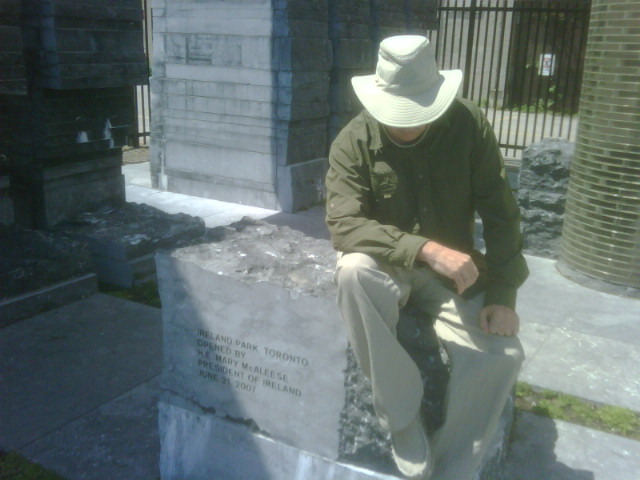 There is, however, Death or Canada, a docudrama which aims to tell “the compelling tale of how in 1847, the British Colony of Canada gave refuge to tens of thousands of Irish famine victims, who in turn were responsible for the building of North America as we know it today.” I missed it when it was broadcast on RTÉ but, having viewed the website, the IP lawyer in me can’t help but wonder if the logo used constitutes a State emblem and, if so, whether government consent was sought for its use. On the topic of intellectual property and the movies, it seems that Iron Man 2 is “the most expensive movie ever made about an intellectual property dispute.” Maxwell Kennerly argues that the armoured suit at issue is not patented, but rather the subject of a trade secret. Unfortunately, I can’t read either post as I have yet to see the film and don’t want to prejudge the dispute. Here in Ireland, there currently appears great interest (at least in media circles) in new constitutions and Second Republics. The debated deficiencies in the Irish constitution make an interesting contrast with that of the UK, which is thought to have worked well in producing a government from the “hung parliament” that the British electorate returned. Fiona de Londras argues that calls for a new Irish constitution are misguided and that, really, what we need is greater awareness of the 1937 Constitution, along with amendments to it. Instead of ushering in a ‘new republic’ or ‘renewed republic’ by means of a new Constitution, we ought, I [say], to try to re-imagine our relationship with the State and to become more deeply engaged with the Constitution that we have. undercurrents of 1930s fascism, or at any rate the Mediterranean version of it as found in Salazar’s Portugal with state-sponsored corporatism; the particular ethos of the Roman Catholic church at the time (which was anything but progressive or liberal); the kind of rural idyll for what de Valera called a ‘frugal society’; and a view of women that saw them as homemakers subservient to the male population. One of the great pleasures of last week was hearing Jack Straw speaking on the Today programme in that patient, reasonable way of the true autocrat, and suddenly realising that I never have to pay attention to him again. Nor for a very long time will I have to listen to Mandelson, Campbell, Clarke, Smith, Reid, Falconer, Blunkett, Woolas or Blears: they’re history and the New Labour project to extend state control into so many areas of our lives is incontestably over. The coalition results from what they refer to as a “hung parliament” in the UK. This is the default arrangement in Irish politics, where coalitions are an established and often unfortunate part of governance. Now that the UK is flirting with European-style coalition government, it might also consider the introduction of a written constitution. Of course, written constitutions do not necessarily result in fewer troubles: the unresolved issues of blasphemy and abortion in the Irish Constitution receive attention from Eoin O’Dell and Brook Elliott-Buettner, respectively. The Guardian has launched a new legal section including an already-excellent selection of blog posts from its Guardian Legal Network. It has devoted a good deal of attention to a big US story combining law and politics: President Obama’s nominee for a vacant Supreme Court seat. 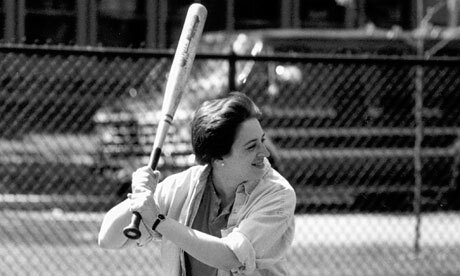 It is unfortunate that the sexuality of the nominee is an issue but, more so, it is quite bizarre that a photograph of the young Elena Kagan appears to have sparked such speculation. The incident, which has shades of The Contender, highlights to Irish eyes the level of scrutiny, professional and political, which surrounds judicial appointments in the US. The highly politicised appointment process may be alien to Irish lawyers, but there is something impressive about the fanatical examination of a nominee’s record on particular legal issues. What complaints will it receive? Possibly not all it should. Though I don’t hold such lofty aspirations as a seat on the Irish Supreme Court, I am glad to know that, should the opportunity ever present itself, my humble undergraduate results are unlikely to be pored over by the blawggers at the Wall Street Journal, of whom Jess Bravin informs us that Kagan got her worst grade, a B- in torts. A tenuous Irish theme got me the job of hosting this Blawg Review, so, given my Limerick location, I can hardly miss the opportunity to throw in another such theme by reproducing Madeleine Begun Kane‘s Kagan limerick. “Obama’s H. Miers,” they pray. Of the many ways Bush went astray. The future is … ? The rather terrifying way in which we may be sleepwalking into a potential dystopian future was highlighted by two issues covered in blawgs this week: Facebook’s privacy practices and the rise of “personal genomics”. the Net is an astonishing achievement with the potential, only partly but tantalizingly realized to date, to become a true milestone in the history of human communication and a possibly unstoppable force for the spread of liberty and freedom around the globe. He says that the internet is “under siege” and that work must be done to keep it open. He differs, however, with Kouchner as to what the threats to the internet are. It is clear that, like Google, Facebook now intends to become “the internet” for many of its users and as ever, the threat may come from governments and large corporations rather than extremist groups. The manner in which it changes privacy policies and settings has come under fire and the EU’s Article 29 Working Group (Brussels-speak for the European group of privacy regulators) says that these changes are unacceptable. However, Benn Parr argues that protecting privacy is up to users, not Facebook; though he does agree that the changes should have been better communicated. He is surprised that the media has “pile[d] up” on Facebook over the privacy issue, but surely such pressure merely reflects the fact that the site has gained such critical mass that, like Google, it has become the establishment and must expect such critiques. Which sounds suspiciously like the “innocent have nothing to fear” defence, excellently filleted by Eoin O’Dell. Businesses scared of the internet might be tempted to shut down access to social media sites like Facebook, but David Donoghue gives some advice to them about adopting a realistic social media policy. This may be of interest to Irish journalists, who recently underwent a period of public introspection when the unconfirmed death of one of the country’s most popular radio presenters became the subject of twitgossip (twossip?). The controversy resulted in plans to introduce a social media policy in the country’s largest broadcaster. While the online sphere is increasingly regulated by private enterprise, it is refreshing to see this creative workers’ rights protest, staged in the lobby of a hotel, proceed without being shut down or silenced by the hotel’s management (though one expects they were taken by surprise by this all-singing-all-dancing troupe of protestors) (from Waging Nonviolence). Tests once predominantly available only to early adopters capable of seeking them out online will now begin to appear on the shelves of thousands of neighborhood drugstores nationwide. To a greater degree than ever before, genetic testing will soon be available to mainstream America (and subject to the impulse buy). And that, for better or for worse, may be all that it takes to convince some regulators that the time for action is finally at hand. As with Facebook, there is a gap between theory and reality, between policy and consumer action. These products, whether they be Facebook’s instant personalisation service or chemist shop genetic tests, are flooding the market. Thought as to how they should be regulated struggles to keep up. Meanwhile, Ted Hennessy discusses the scarily-titled Genetic Information Non-Discrimination Act 2008 in the context of employment law. On this side of the pond, we similarly regulate the use of genetic data, but have tucked such regulation away in less exciting secondary legislation. Of course, genetic discrimination is merely a veiled, sophisticated form of old-fashioned discrimination, in relation to which Bill Egnor makes some very good points as he notes the difference between immigrants of colour in the US and Irish illegals, who might pass below the radar. It is the obvious problem with uneven enforcement that makes this law so pernicious. Who does an immigrant look like? Such double standards are not unknown in Ireland, where Eastern European and non-European immigrants are called “non nationals”, but English, French, American and German residents are referred to by their nationality. And here, of course, Irish immigrants in the US are known as “undocumented“.